CHINA: China is likely to add 20GW+ new grid-connected wind power capacity in 2015, according to Make Consulting. 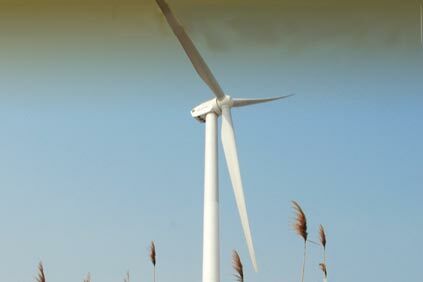 China's wind industry grew rapidly in 2014, as anticipation of onshore wind feed-in tariff (FIT) reductions caused a rush to install and connect projects. Official statistics show grid-connected wind capacity reached 96.37GW at the end of 2014 with about 19.81GW of this newly commissioned. According to the China Wind Energy Association, total wind installations last year reached 114.76GW, and of this 23.35GW was new. Based on analysis of approved project pipeline and results from Make's China Project IRR model, Make expects China's new installed grid-connected capacity in 2015 will be 21.5GW. More than 60% of the new grid-connected capacity in 2015 is expected to be in Class I, II and III regions, the majority of which will be located in the north-west and north. In comparison, Class I, II and III annual grid-connected capacity ranged between 47-57% in the previous three years. Make has upgraded expectations in Xinjiang, especially in Hami, where one ultra-high-voltage line is in operation and another is expected to be approved in 2015, continuing short-term growth momentum. Not only is Xinjiang a key geographic location to China's recent political target to implement the "one belt and one road" economic strategy, that would support substantial investment in the underdeveloped north-west, it is also home to some of the best wind resources and project development conditions in China. However, curtailment in certain provinces will worsen in 2015, as the substantial increase in capacity will exceed power demand and grid capability. And Xinjiang, Yunnan and coastal provinces in the east may become the focus of an upcoming second round of FIT reductions at the end of 2016 or beginning of 2017. China's outdated wind classification system may also be adjusted to better reflect the wind resources in each province. As a result of 2014-2015's high growth, China's wind industry faces uncertainty going into 2016.